Matthew Guigli joined our team in the spring of 2005. An incredibly dedicated individual, Matt has taken on the responsibility of overseeing the engineering on all of our projects. He plays a key role in the link between the blueprint and finished product by handling design build-projects and field revisions. In addition, Matt directs all surveying operations within the company and works closely with our site superintendents and project managers to coordinate field operations. Matt holds a B.S. in Civil Engineering and Construction Management from the Worcester Polytechnic Institute. A native of Wellesley, Massachusetts, Robert assumed the role of President and C.E.O. in 1990. A full time employee since 1979, Robert brings over 35 years of experience to our company. 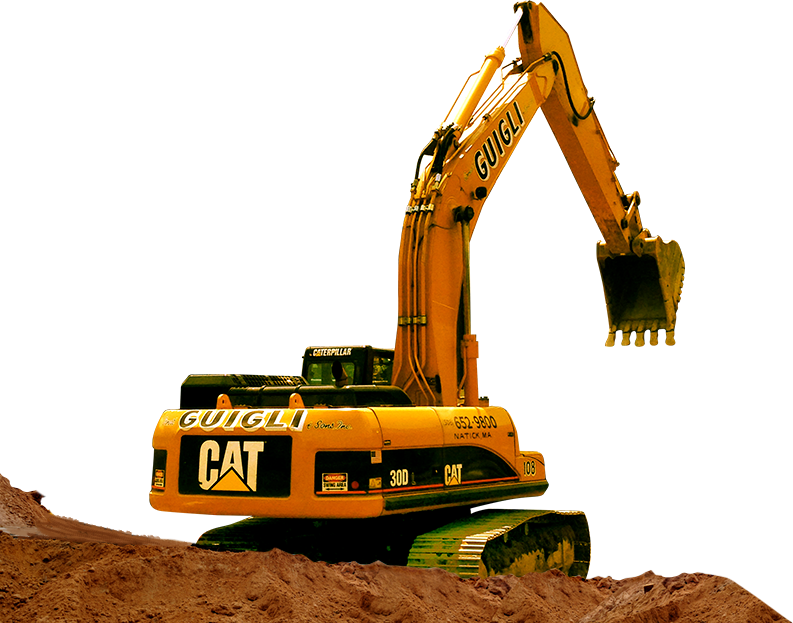 As Vice President in the 1980’s, he led our transition from an equipment rental firm to a site contractor. His depth of knowledge in soils mechanics and mechanical design allows him to offer a unique contribution as a manager of our team. Robert works closely with the site superintendents, project managers, and general contractors to manage company resources and guide project operations. Robert holds a B.S. in Civil Engineering from theWorcester Polytechnic Institute. Robert lives in Wellesley with his wife Charlene and four children. He is a member of the board of Directors for the Wellesley Community Center and is also an instrument rated private pilot. 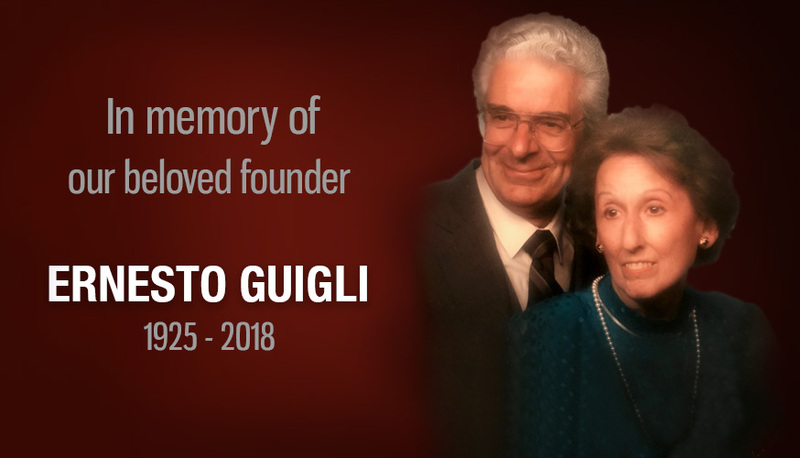 Originally from Italy, Ernesto Guigli immigrated to the United States from Italy in August of 1949. Ernesto studied at the Benjamin Franklin Institute of Technology, Boston, MA. His mechanical background led him to the position of Master Mechanic for D.M. Bernardi Company in the 1950’s. In 1966, Ernesto left Bernardi Construction and founded Ernest Guigli, & Sons. With over 25 years of experience in his own business, and nearly 45 in the industry, Ernesto retired in 1990 as President and C.E.O. He now serves as the Chairman of the Board, advising company managers on daily operations. Ernesto fought in The Italian Underground against Germany during World War II; he is also a Veteran of the Korean War where he was honorably discharged as a Sergeant for the United States Army. Ernesto resides in Wellesley Massachusetts and is an active member of the Wellesley Rotary Club.